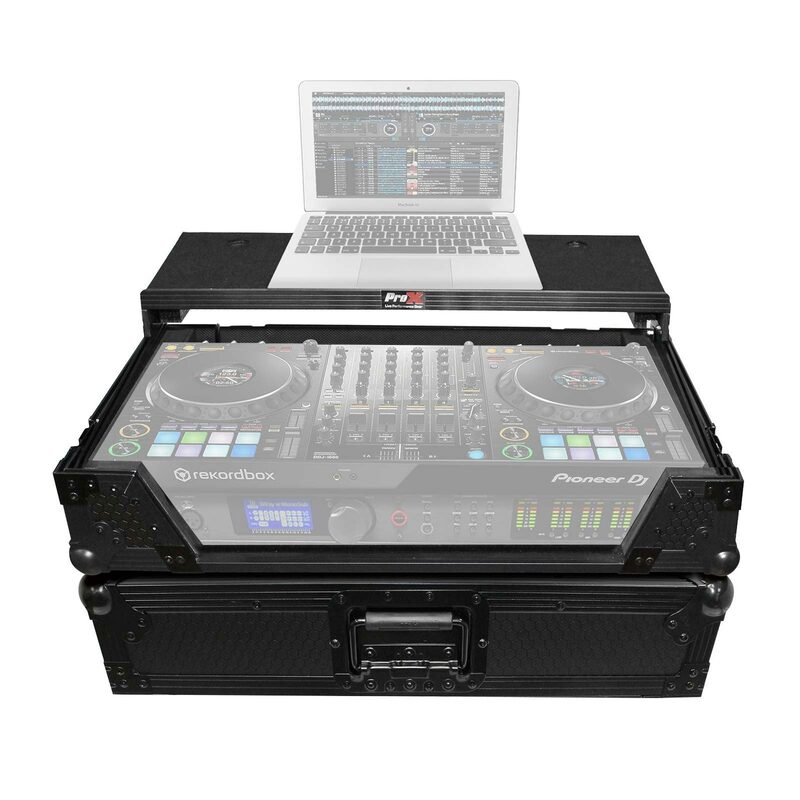 The XS-DDJ1000WLTBL Flight case designed by PROX CASES fits PIONEER DDJ1000 and is made with the highest quality material and workmanship. If you have a passion for your gear and want to keep it safe at all times, this case will perform at the highest level every time. 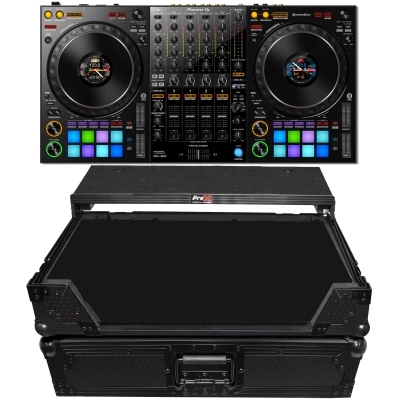 The XS-DDJ1000WLTBL BLACK ON BLACK ATA-style flight case with sliding Laptop Shelf is constructed with our rugged signature 3/8" Gig-Ready Series Plywood, durable rubber wheels, reinforced steel ball corners, as well as recessed steel padded handles and latches. There is additional space for cables and small accessories in the back and underneath the unit for convenience, as well as a removable front panel for you to access front input jacks easily. 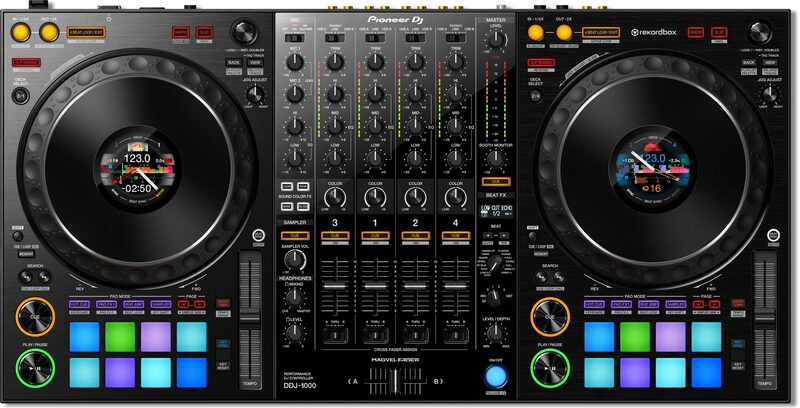 The front removable panel allows for easy access to the front controls and headphone/mic jacks.